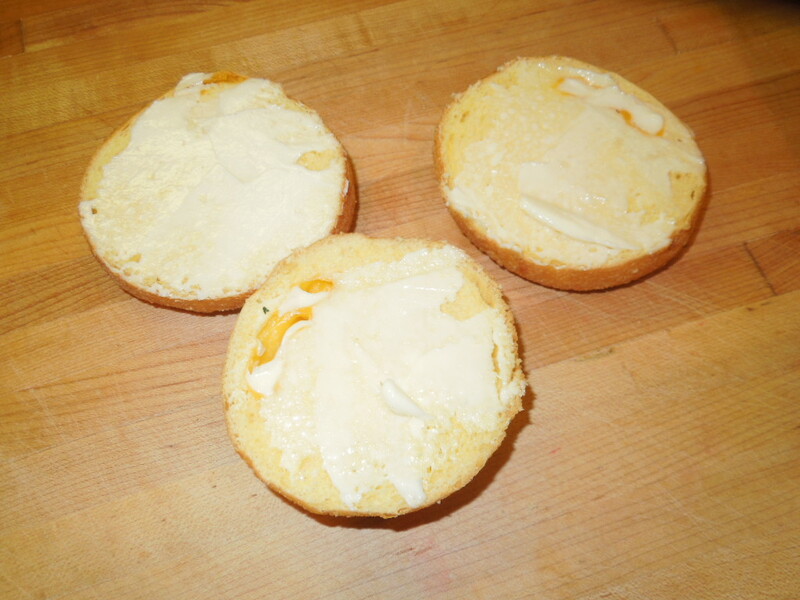 Cheese pandesal can be made into a tasty dessert with this recipe! Today as I wandered the Island Pacific Seafood, my thoughts turned to the Bulbacan Bakery (right next door) and their cheese pandesal. Ever since my dear friend Victoria introduced me to pandesal, many years ago, I’ve been hooked. 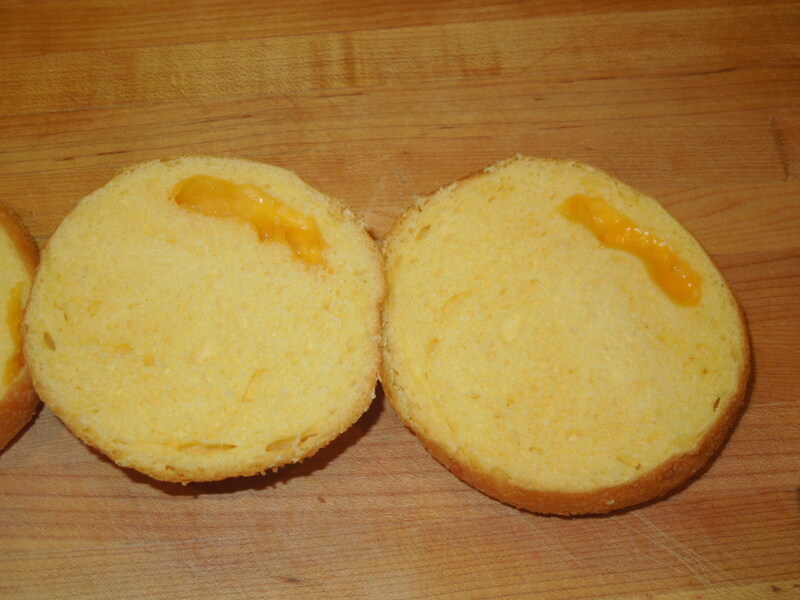 Cheese pandesal is the sweeter, cheesier cousin to the “plain” pandesal. 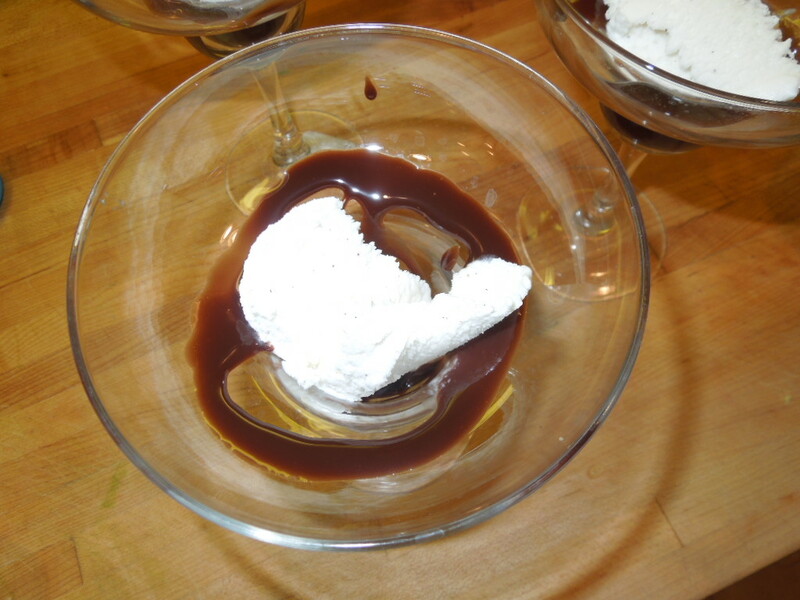 It is perfect as a bun with breakfast or in this totally decadent dessert. Preheat griddle pan or skillet to medium heat. 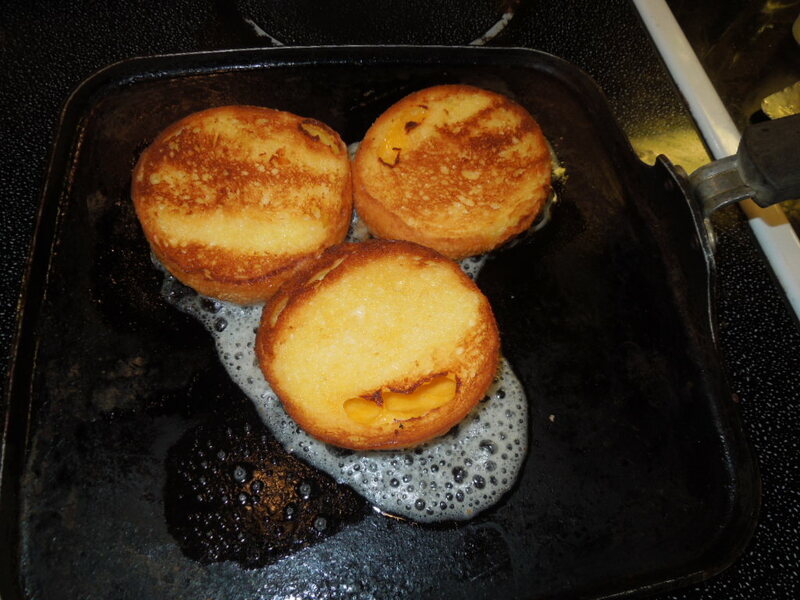 Spread butter on both sides of pandesal, then cook on each side about 1 1/2 minute or until golden on both sides. 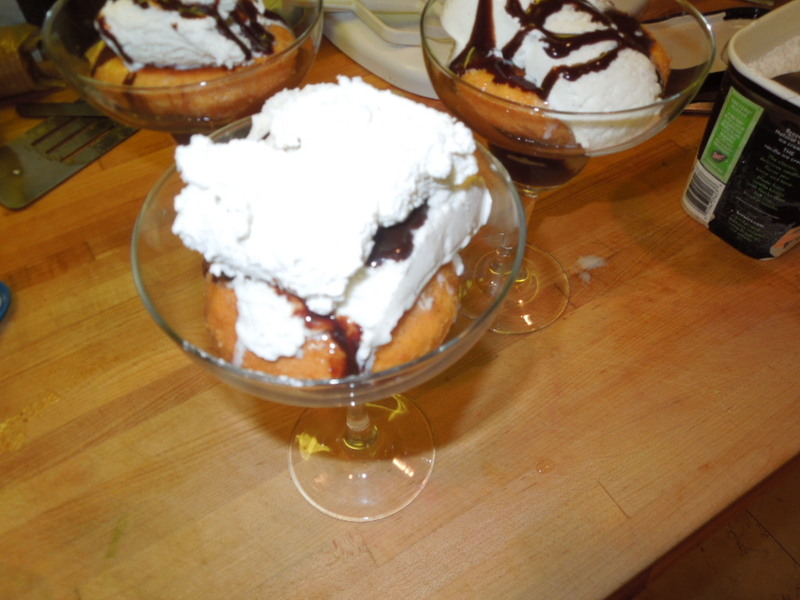 Place grilled pandesal in a serving dish, then top with ice cream, chocolate syrup and whipped cream. 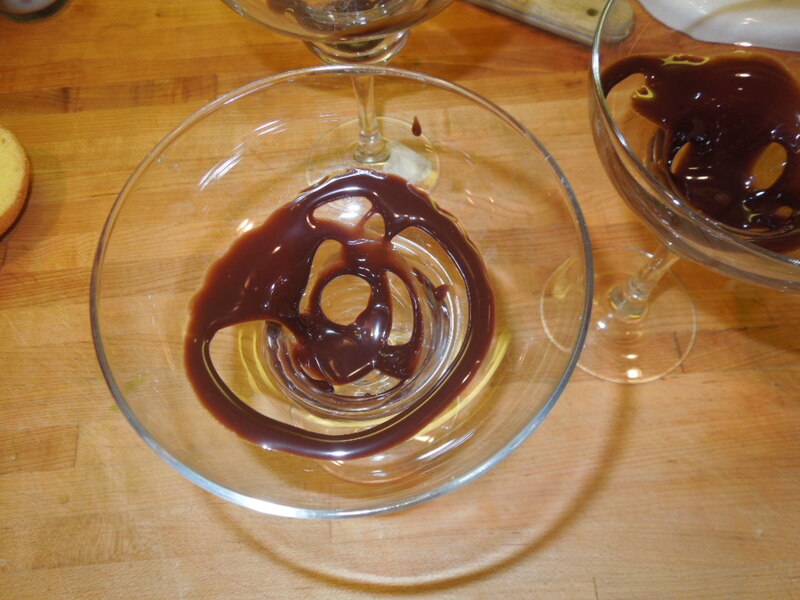 Or, if you want, dig deep into your rarely opened china cabinet and come up with a fun presentation like I did in these margarita glasses by swirling a little chocolate syrup on the bottom of the glass, placing a little ice cream in the divet in the bottom, then putting topping that with the grilled pandesal, more ice cream, more chocolate syrup and finished with whipped cream. Almost all of us have them – the “special” dishes. You know, that stuff that you guard with your life and dust twice yearly just waiting for some “special occasion” to pop up. Until the president or some foreign dignitary decides to grace your home with their presence, why not use them? I mean, unless you count on your kids needing to pawn them for money some day, how many pieces do you think they really want to inherit, store, dust and repeat with their own children. Remember, your life right now is a special occassion. Today, try and use the finer things in life on the people who matter most to you. You deserve it! Enjoy a nice meal today, on your special dishes and try to incorporate those dishes regularly into your life. (Yes, even for a simple sandwich for lunch.) Don’t worry if a couple of them get broken. It will be fewer for you to dust later in the year. Tags: Bulbacan Bakery Cheese Pandesal, cheese pandesal a la mode, cheese pandesal desserts, cheese pandesal recipes, cheese pandesal sundae, dessert recipes, food, grilled pandesal dessert, Island Pacific Market, pandesal dessert recipe with pictures, pandesal sundae, recipes, what to do with leftover pandesal. Bookmark the permalink.